Our new and beautiful apartments have quality options to make you feel at home. Experience the ultimate in apartment living in Scottsdale, Arizona. Our outstanding community is the perfect blend of convenience and comfort boasting a superior location in Old Town Scottsdale. 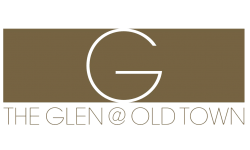 You will feel right at home here at The Glen at Old Town with spacious floorplans, unparalleled landscaping and much more! Just a mile away from Scottsdale Fashion Square, Scottsdale Waterfront and Old Town Scottsdale, you have endless options for restaurants, shopping, exercising and entertainment. Our community is sure to fit your lifestyle! Contact us and schedule an appointment today to set up a tour!